What is Portable Pixmap file format? PXM is a collective name for portable pixmap / greymap / bitmap file formats (PPM, PGM, PBM) which are basic file formats for exchanging graphics files. In each case, the lower-numbered version refers to a human-readable, ASCII-based format similar to the one in the example above and the higher-numbered version refers to a binary format which is not human-readable but saves some space in the file, as well as being easier to parse due to the lack of white space. The original definition of the PGM and the PPM binary formats (the P5 and P6 formats) did not support bit-depths greater than 8 bits. Then there came some attempts to extend the format. But the problem is that the various implementations could not agree on which bit depth to use. Therefore, Netpbm which is the de facto standard implementation of the PXM formats uses big-endian. 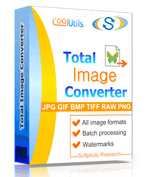 Many people prefer to convert PXM images to widely accepted formats like TIFF, JPEG, PNG. A reliable converter will help you do that in 3 clicks. Try Total Movie Converter. It supports a great number of image formats and is very user-friendly.